Netflix has released the official trailer for the adaptation of Jack London’s classic novel “White Fang”, now streaming only on Netflix. 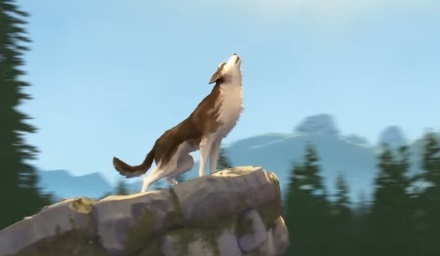 The animated feature film, directed by Academy Award winner Alexandre Espigares, is described as “a touching, adventure-filled tale about the life of White Fang, a wolf dog who’s life unfold from being a puppy in the wild to dog-fighting in Fort Yukon”. The voice talent includes Nick Offerman, Rashida Jones, Paul Giamatti, Eddie Spears, and others. The streaming service acquired White Fang earlier this year, in February, after the film’s debut at the 2018 Sundance Film Festival, and launched it this month in the US, Canada, Latin America, Southeast Asia, Japan, South Korea, UK, Eastern Europe, India, ANZ, and South Africa.